A fledgling environmental group wants Rhode Island lawmakers to consider the impacts of the so-called Green New Deal to the state. The federal proposal is non-binding resolution introduced in Congress by Rep. Alexandria Ocasio-Cortez of New York and Sen. Edward J. Markey of Massachusetts to tackle climate change and spur economic development, with the goal of reaching net zero green-house gas emissions nationwide by 2050. Funded by Brown University's Climate and Development Lab, the Rhode Island Green New Deal Research Council is studying the potential social and economic opportunities for the state, if the national proposal moves forward. They hope to have a report ready for state legislators to review by May 15th. 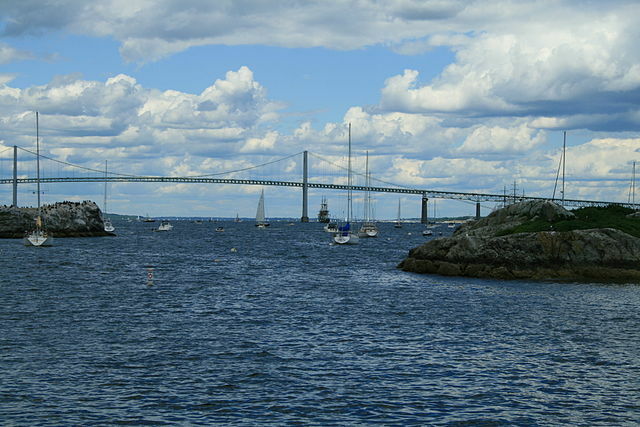 Michael Roles, project manager for the group, said Rhode Island could benefit from such a proposal, both in protecting coastal resources, and kick-starting new economic development. Roles also sees the deal as a way to build the resiliency of Rhode Island’s economy in case of another economic downturn. Rep. Christopher Blazejewski (D-Providence) introduced a resolution to formally consider the group’s research in the House, and Sen. Louis DiPalma (D-Middletown) is set to introduce one in the Senate. The report would also be sent to Gov. Gina Raimondo and the Executive Climate Change Coordinating Council.